Beer, Brewing, Bread…all the good stuff. Serial “Likers” and “Followers”, please read! You know, when it comes to companies that sell products called Explorer, I much prefer Adnams to Microsoft…I mean, who wouldn’t? Coming out of the bottle it’s a fine, well, beery colour. The blurb on the bottle promised new world hops, and in the aroma they were duly delivered – by the spadeful: Citrus, mint, pine needles and an underpinning faint suggestion of beeswax. Marvellous. A heart effervescence gives way to a gently understated body…this beer certainly doesn’t carry too many extra pounds in that department. Pleasant maltiness underscores upfront -but not over-bearing- piney, honeyed, hop notes that slowly diminish to a satisfying bitterness that occasionally parts to reveal echoes of piney aftertaste. This isn’t a gigantic beer or a study in the art of heavy-handed hopping. It’s delicate, expertly hopped and very enjoyable. If you were someone who was curious about American IPAs, you’d do well to try Explorer as it showcases the American hop varieties they use beautifully, without the inevitable high alcohol and bitterness quotient that those hard-hitting craft IPAs tend to have. Oh Lloyds, my dear bank account, will you ever forgive me? Back to the Brewmaster…do you mind me calling it a Brewmaster? It sounds less teutonic*, uptight and haughty than “Braumeister”, doesn’t it? I placed my order with the good people at Vigo ltd. They seem to be the sole importers of Speidel kit in the UK, and also sport a very comprehensive line in other drink production/brewery equipment: fruit-stoning machines, cider presses, bottling machines all that sort of thing. 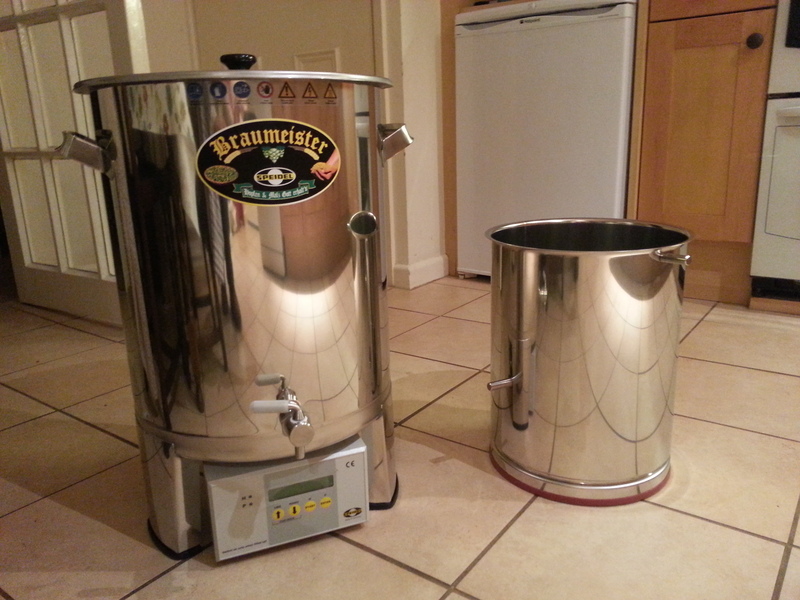 If I ever go the microbrewery route I know where I’ll be buying my bits from. In the course of my conversations with Jon at Vigo I mentioned this blog and he offered to chuck in a free thermo-jacket for the Brewmaster, so that was nice of him. 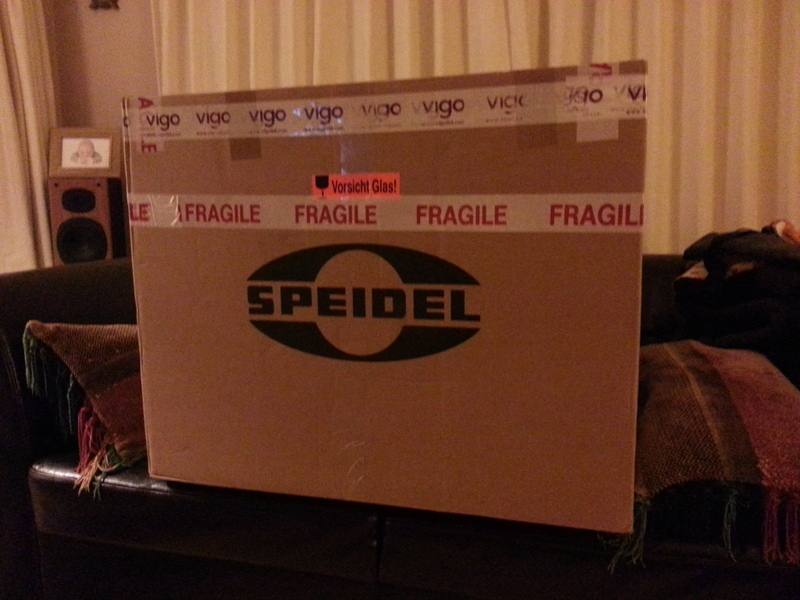 I think what really sealed the deal is that they are quite the cheapest stockists of Speidel kit in the UK and they also carry a lot of it as stock…a lot of other re-sellers have to order it from Speidel in Germany which adds to the agonising wait time. When placing my order I was told by Michelle at Vigo that the lead time on delivery is three days. 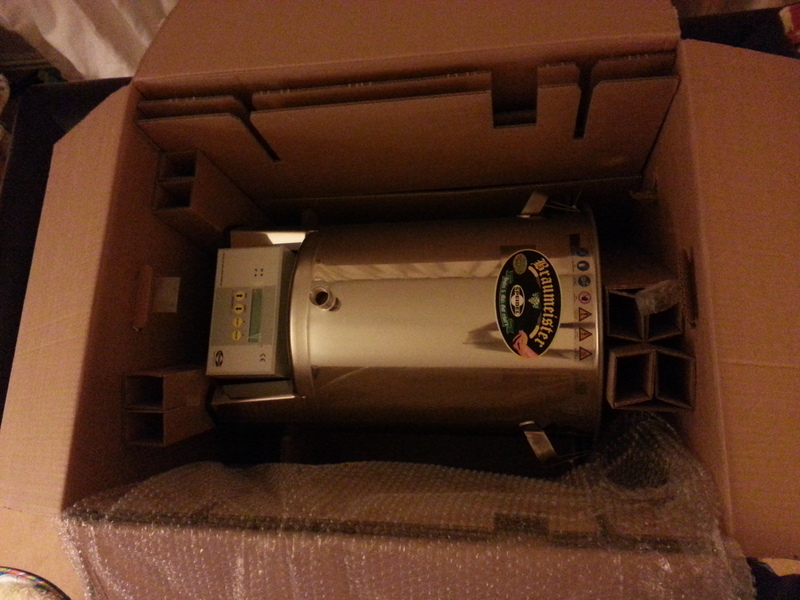 I hope this means I get it before the weekend – as that means I’ll be able to to brew! Keep an eye out for the recipe – it’ll be a Chinook and Cascade IPA. Get on! Thank god then, that Bedfordshire has at least got The Potton Brewery; that fact alone piqued my interest in the county no-end. Shambles pours the colour of old cognac; this -coupled with the complete lack of any lasting head- could make you look to the uninformed like a serious top-shelf drinker if you were to stand about with a glass of it for any length of time. There isn’t a vast amount in the nose, but what there is is honeyish, calvados-like and bursting with crystal malt. In fact I’d go so far to say it’s a bit malt heavy. There’s no real hop aroma, but this is a bitter so that’s to be expected. In the taste I got a fairly light maltiness, which was quite unexpected given the promise of crystal in the aroma. The mouth-feel was quite thin and reedy too; which could mean that either the yeast did too good a job eating up all the available sugars – or the mash temperature was on the low side. There was a decent enough bitter trailing edge after the swallow, but not enough to enthrall or satisfy. All-in-all it was an OK beer and as far as parallels to my current exposure to Bedfordshire, it was pretty the same: being slightly hum-drum and unexciting. 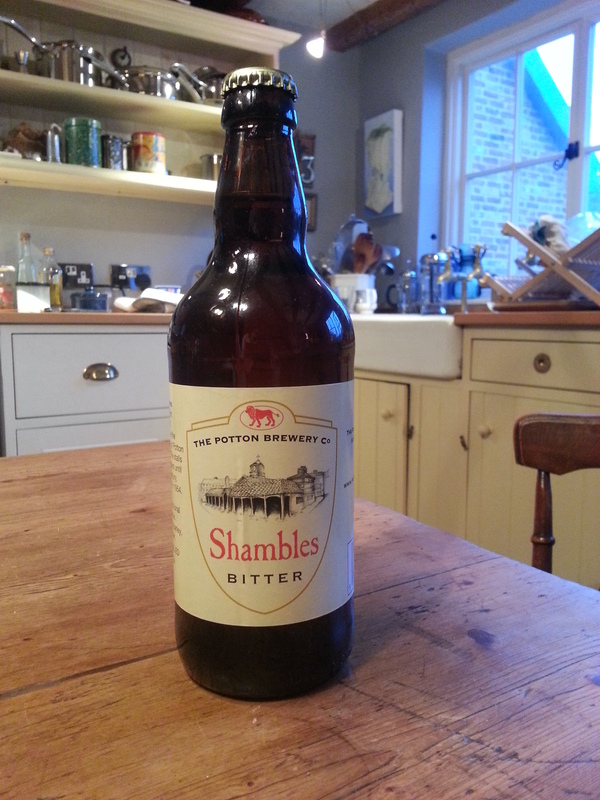 I suppose that’s the trouble with running a blog like this is that you hope every beer is going to be exceptional, it’s a shame that Shambles wasn’t…maybe Potton’s other beers are? Hah. 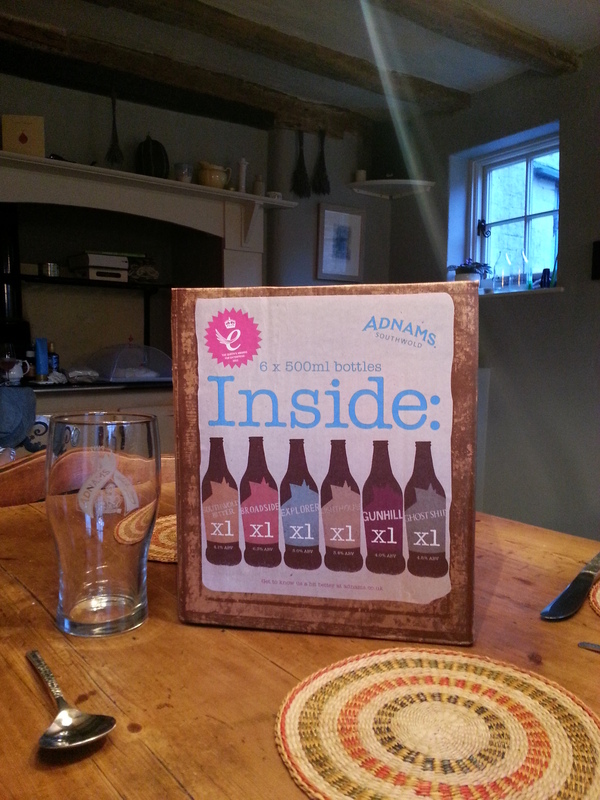 Look what I found in the Framlingham branch of Solar/Co-Op when I was visiting my in-laws in Suffolk: a selection pack of Adnams beers. The old dry hopping thing is a bit of a nightmare, isn’t it? 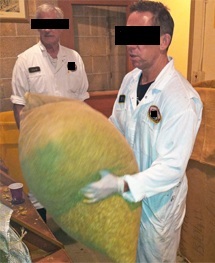 Should you dry hop in the primary? Or transfer the beer to a secondary, so it’s off the trub and dry hop there? Should the beer be clear before you dry hop? Does it even matter? Does it ruin the clarity? I must confess that clarity in the finished beer seems to be my biggest problem…all my beers seem to take weeks to clear. Admittedly this is probably due to the extraordinary amount of dry-hopping I do, but I suspect that also having nowhere to crash-cool after fermentation always tends to leave some yeast floating about. Now, keg hopping is not a new concept…think of those barrels of IPA going across the seas to the colonies all that time ago, but I have heard it said that keg-hopping can sometimes lead to a grassy, overly-vegetal note in the flavour of the finished beer because the hops remain in contact with the beer for too long. I intend to limit any grassiness by attaching the mesh bag full of hops to the very top of the dip tube in the cornelius keg – meaning that the beer will get dry hopped during the time it takes to drink the first quarter or so of the keg, after which the level of beer will drop below the hop bag, thus avoiding the potential over-exposure problem. Have you had any success with keg hopping?, have you any tips and tricks that you’d like to share with us all? My notes also say that these were both part of a Friday lunchtime drink at the Black Prince in Woodstock…and joy of joys they’re both local: Loose Cannon hang out in Abingdon and Vale are based in Brill. Nice. Straw coloured and slightly hazy due to assumed dry hopping. An extraordinary hop aroma, well on par with anything Thornbridge produces: strong and penetrating vegetal, greenery, ozoney, cirtusy and almost seaweedy nose. Very light malt but with a really good bitterness and complex hop flavour all meshed under a comforting alcoholic warmth. 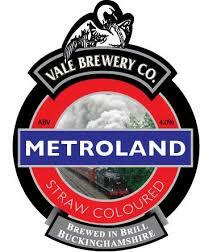 Very odd name, and in a similar vein to the bombshell, so it was a little bit of a shame to have the both on the same bill as it meant I had to choose a favourite…and Metroland was mine, but only by a smidge. Excellent hop aroma, strong clear and bright. Very evident in the taste too was bright lemon and citrus. 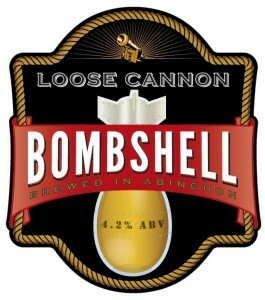 A little more in the way of malt weight than the bombshell which was probably what made it for me. Very nicely matched malt, alcohol and hop regime leading to a perfectly balanced taste. One of the most accomplished beers I’ve had for a while. Ladies and Gentlemen, I hereby provide you with full disclosure: this is one of my favourite beers in the world, ever. There I’ve said it. I’ll do my best to be even-handed, but it’s going to be difficult. I might run out of superlatives. Brakspear Bitter pours a really nice conker brown, with a very healthy effervesence. The head is lacy white and long-lasting. This bitter doesn’t have a complex aroma by any means, but that’s of no importance; it’s solid. Solid malt, malt and more malt; a light flinty minerality does poke through here and there, whilst a little hoppiness peeks over the top and around the edges. Upon tasting you get a beautifully solid slab of bitterness to chew on, this is backed up by perfectly judged malty and toasty notes. On the after-taste a second strident dose of bitter rides in to clout you roundly and give you something to think about. You really wouldn’t know that Brakspear Bitter is only 3.4% ABV, as it’s that well-made…and as it’s not too strong, you can drink more of it. Hooray! Folks, this is a study in the style of the English bitter, along with Adnams Bitter I consider it to be one of the de-facto standard bitters by which others should be judged. As if all of the above wasn’t enough, I can buy 500ml bottles of Brakspear Bitter from my local Aldi (in Banbury) for 99p a bottle. Yes, I’ll repeat that…99p a bottle. It’s an absolute bloody steal at that price. I buy them ten at a time. Aldi: I think I love you for that. Brakspear: I love you for being you.